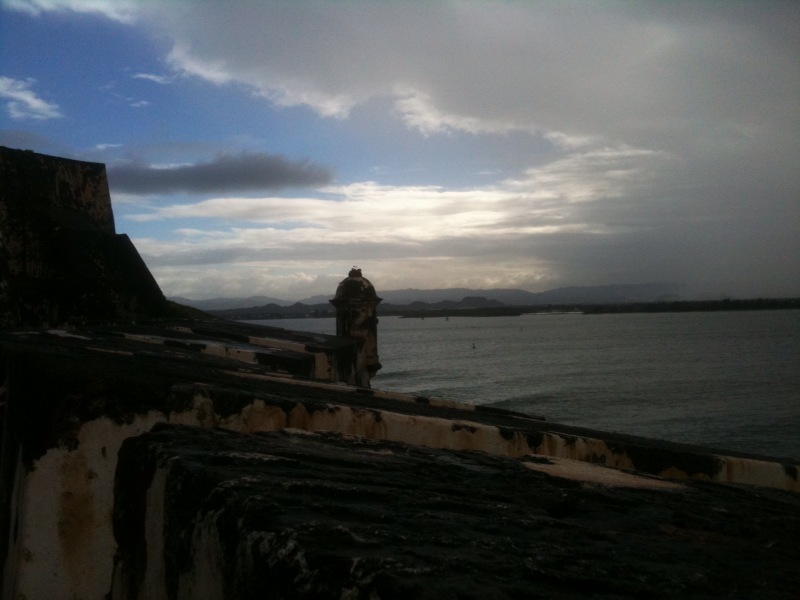 SAN JUAN – What a treat to spend the winter holiday in this 500-year-old city. A 3-hour flight transported us from the cold rains of north Georgia to the warmth (and some warm rains) of Puerto Rico. Old San Juan was in full holiday swing. 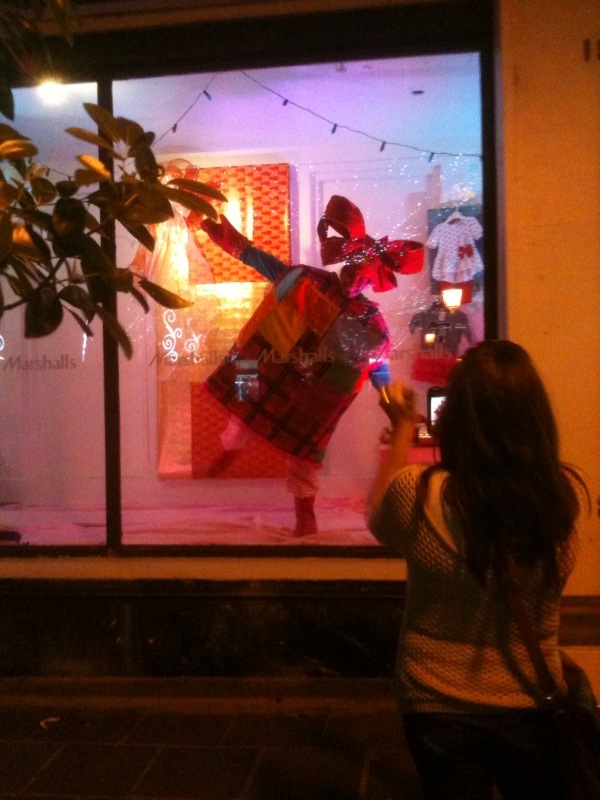 Quite literally: in the nights before Christmas, the department store windows featured humannequins, dressed as presents and dancing to blares of Latin music. 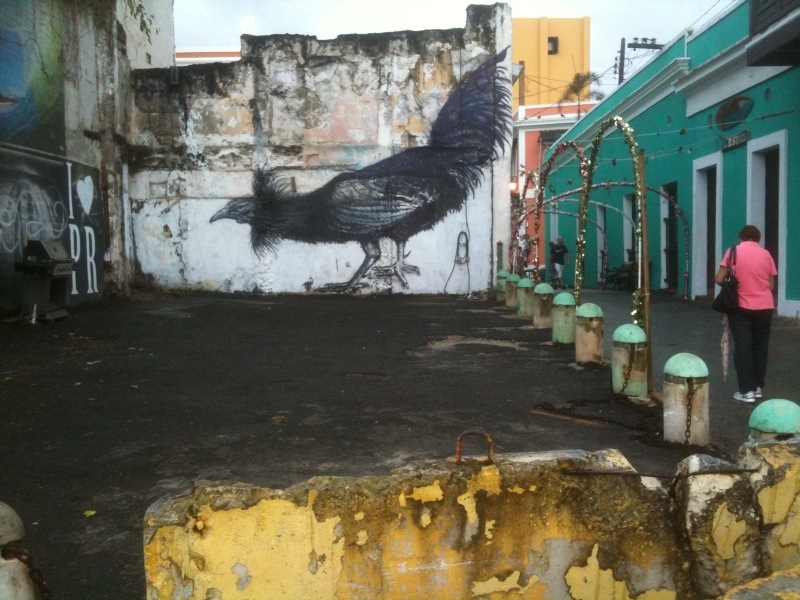 Quieter corners featured brilliant murals, of birds, lizards, and other island flora and fauna. Wrapping the old quarter are ancient stone walls, built by Spain to protect this Caribbean holding against encroachments by other would-be colonizers, among them the Dutch and the British. 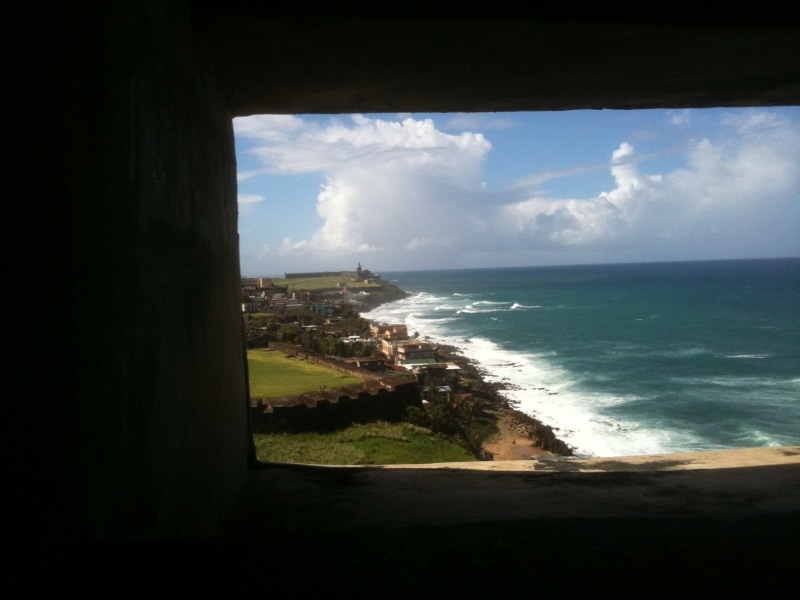 The walled coast is seen here through an artillery turret that the United States added to one of San Juan’s forts, Castillo de San Cristóbal, in the days of the Cold War. It’s just one of many reminders of the island’s territorial relations with the United States. Pedro Albizu Campos (September 12, 1891-April 21, 1965) fue arrestado. Albizu Campos was a leader of the Puerto Rican independence movement. After being denied (on account of his “mixed racial heritage”) the valedictory speech he’d earned at Harvard Law, he went home to practice law and foment change. For his efforts he spent 26 years in U.S. prisons, in Georgia and elsewhere. Contemporary tensions were evident even last week. 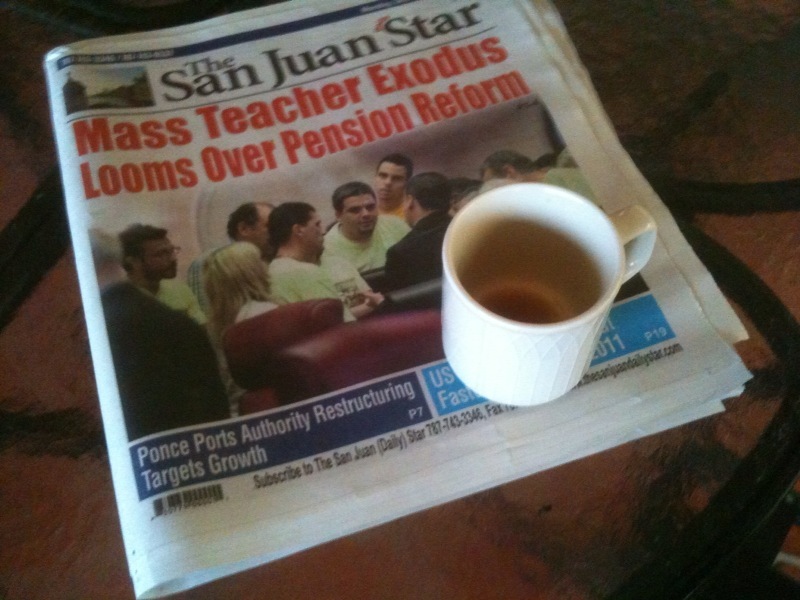 Teachers were protesting the government’s slashing of already earned pensions. During a march on Puerto Rico’s capitol, doors were forced and a couple police officers reportedly hurt. That provoked a shutdown of streets all ’round the building, and with it, a massive traffic jam. Police presence diminished by Christmas, but the pension problem lingers. Far from that madding crowd lies El Yunque, the only tropical rainforest among the United States’ national parks. 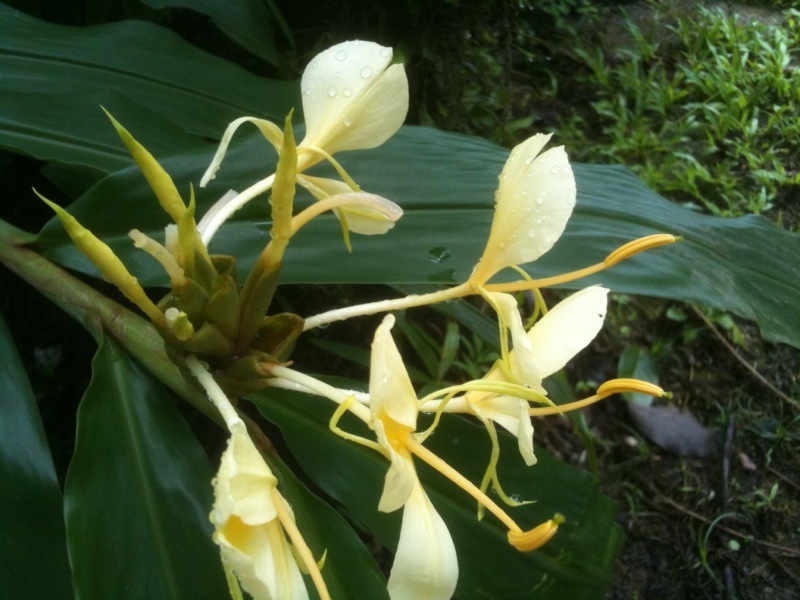 Part of the Luquillo biosphere preserve recognized by UNESCO, it’s a wonderful trove of plants and animals, a place to hike amid the rush of waterfalls and the hush of rain that falls yet mostly is caught by the canopy above. In all, a welcome respite from the grid.